Mitochondria are tiny miracle powerhouses sitting in each of our cells , producing our energy in the form of ATP – adenosine triphosphate. 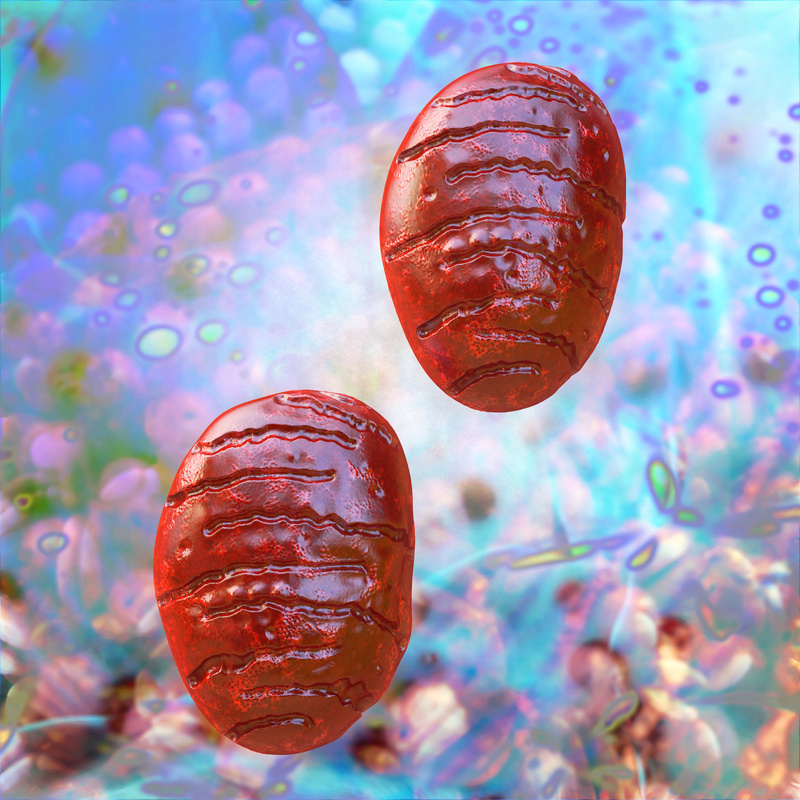 On average, every cell has 1,500 mitochondria. Nerve cells have 4,500 to 6,000, and some have many more . The predecessors of our mitochondria were bacteria, which is a long story in itself  – but hugely important when you consider that this means antibiotics will inevitably also affect our mitochondria  – not just our energy, but everything they regulate. And the spectrum of their properties is vast. They are essential for the synthesis of cholesterol  (vital for lining every blood vessel, nerve endings, synapses in the brain, all our steroid hormones …) and heme  (without which we wouldn’t have haemoglobin to carry oxygen to our cells, and can’t detoxify properly, because CYP450, a key detoxification molecule, has heme at its centre). Fats are ideally burnt along the beta oxidation pathway, whichis in our mitochondria, so if they are out of action, we can’t metabolise fats properly. And the ATP they generate has a signaling function that carries critical messages between cells, which fails if they are dysfunctional . They have even been called integrator of danger signals : evidence suggests it is the mitochondria that detect danger, and initiate the body’s & system inflammation and repair. Another vital issue is how our mitochondria are linked to fatigue. Mitochondria are powered by oxygen, but a huge number of free radicals are generated in the process. Mitochondria are the greatest site of reactive oxygen species in our bodies. The paradox is that while we cannot exist without oxygen, oxygen is also inherently dangerous to our existence . This is because each oxygen atom has an unpaired electron in its outer valence shell: without sufficient antioxidants to quench these, they wreak havoc and produce oxygen toxicity, such as the superoxide anion radical, hydrogen peroxide, and the extremely reactive hydroxyl radical. Why might we lack antioxidants? The poor quality of much of the soil together with the pesticides, herbicides and insecticides used to grow our food both deplete it of nutrients and mean we are ingesting chemicals that are foreign to our organisms. The incredibly delicate “batteries” within our mitochondria, called the electron transport chain (https://www.youtube.com/watch?v=xbJ0nbzt5Kw) can easily fail if the right building blocks are missing, or if these building blocks cannot reach the mitochondria because the membrane is blocked. And there are myriad potential culprits that can block cellular or mitochondrial membranes. The 80,000 chemicals in commerce – with thousands of new ones being added each year – surround us inescapably. The film “Unacceptable Levels” just released  documents the many paths these are finding into our bodies, not to mention the loads we may have been carrying for years, such as mercury in amalgam fillings. So the blockage these xenobiotics may be causing is one thing. Lacking the right nutrients and antioxidants to power our mitochondria is another. And not everyone’s detoxification and methylation pathways are working correctly. Genetic tests will frequently reveal polymorphisms (deletions) in the genes in these pathways. Polymorphisms in the coding for enzymes in the cytochrome P450 system, for example, mean you cannot metabolise and clear toxins well – whether endogenous (produced from within your own body), or exogenous (absorbed from outside), depending on the genes affected. MTHFR polymorphisms are also hugely important (C677T or A1298C, whether single or double deletions): each add their own layer to the puzzle that needs solving . 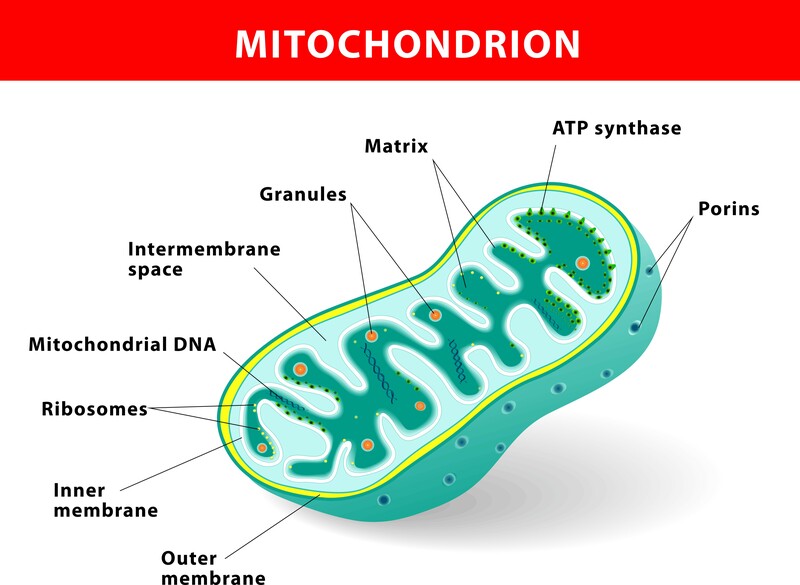 Our high-performance ATP generators, the mitochondria, are therefore often under such pressure that they are forced to downregulate to revent cell death. Where do we get our energy from then? We have “emergency generators” outside the mitochondria, in the cytoplasm (the gel-like substance within the cell membrane). Glycolysis in the cytoplasm produces two moles of ATP for every mole of glucose. But inside the mitochondria, one mole of glucose can produce around 36 moles of ATP (and fatty acids generate even more). Plus we have tens of thousands of electron transport chains doing this in each mitochondrion – and often thousands of mitochondria in each cell. So we have exponentially more energy that can be produced within our mitochondria when they are functioning properly compared to just those two per moles of glucose in the cytoplasm if they are not. 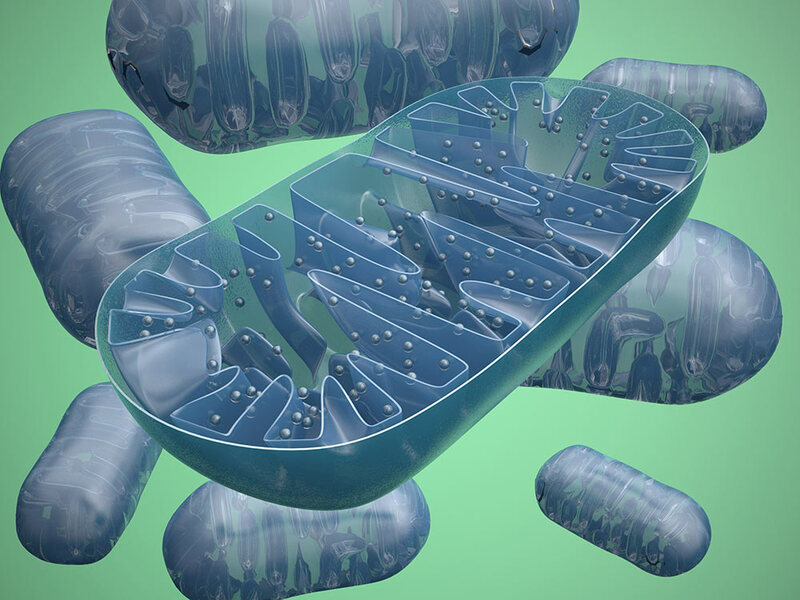 Fatigue in mitochondrial dysfunction is therefore inevitable – one can even see it as a by-product of our body’s intelligence, trying to protect our cells, which might otherwise die. As Dr. Kathleen Light said at the OFFER 2008 Conference: “Like pain, fatigue is a vital protective sensory experience…”. That doesn’t help much of course if one is suffering from it – one wants a remedy of course! The research of Professor Alan Light has also shown that exertion elevates pro-inflammatory cytokines . This in turn causes a drop in mitochondrial membrane potential, throttlingÂ intra-mitochondrial ATP synthesis . The reaction is excessive in people with ME. It takes at least 24 to 72 hours for IFN gamma and alpha to be removed and mitochondrial membrane potential to correct. This exacerbates the energy depletion already explained. No wonder post-exertional malaise is so common in those with ME . We saw at the outset how Dr. Gottfried Schatz called the mitochondria a “Magic Garden.” These intelligent organelles are always trying to do the best for us, ultimately, but the results can be a house of horrors if any one of the factors discussed above goes out of balance long term. We’ll be discussing further aspects of mitochondrial dysfunction in later posts. Voet, D., et al (2006). Fundamentals of Biochemistry, 2nd Edition, John Wiley and Sons, Inc.
Duewelhenke, N., et al. (2007). Influence on mitochondria and cytotoxicity of different antibiotics administered in high concentrations on primary human osteoblasts and cell lines. Antimicrob Agents . Lemaster, JJ, Holmuhamddov, E. Voltage-dependent anion channel (VDAC) as mitochondrial governator – Thinking outside the box. Biochim Biophys Acta. 2006 Feb;1762(2):181-90.